The Delvin River is a major feature of northern County Dublin, and forms the boundary between Fingal and Meath in places. Here we see it running away from a bridge on the road north from the Naul, towards a small cascade, an artificial lake, and a private hydro-electric installation. 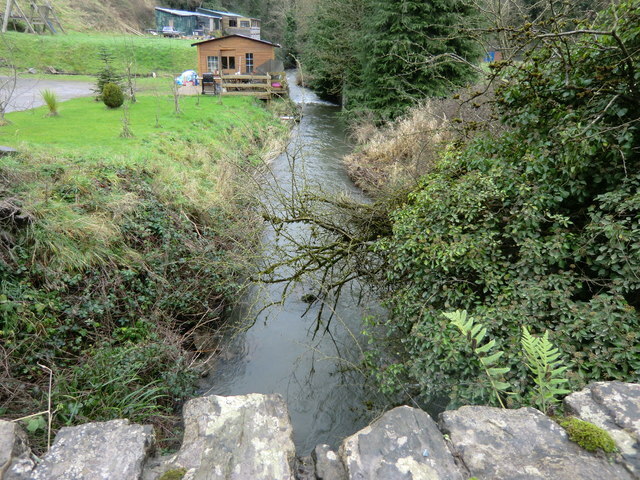 This section of the river is sometimes known as "the Roche" and the valley of the river leads to the name of the village - Naul comes from An Ail, "the cliff," as in places there is a fall of up to 20 metres from river to the level of road from Naul to M1 and the coast. © Copyright jwd and licensed for reuse under this Creative Commons Licence.